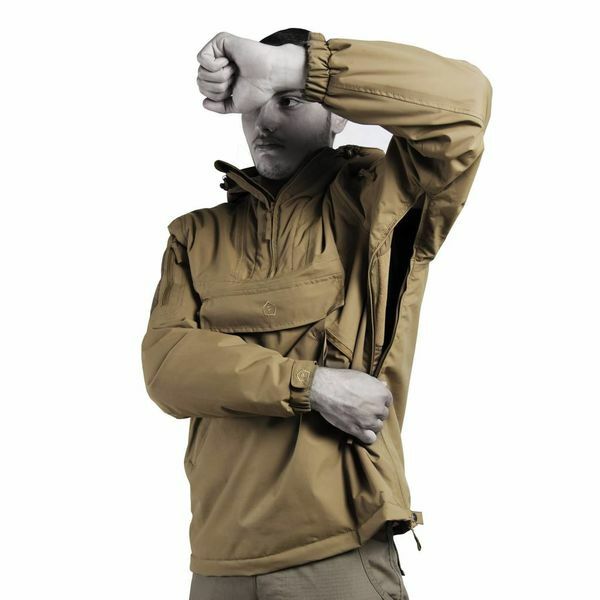 Urban Tactical Anorak with a Tactical Profile, Added Arm Pockets for Documents, velcro patch on each arm HxW 13x8cm. Hand pockets interlinked and large Kangaroo pocket great for larger items especially Gun concealment. 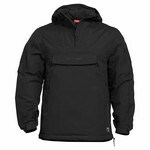 Durable Taslon Nylon outer-shell laminated with Storm-Tex­ 8000mm Water-Resistant and 3000mm Breathable membrane. Dual Direction Zippers on each side for easy Entry and Exit, Dual direction zippers Offer targeted ventilation opening. 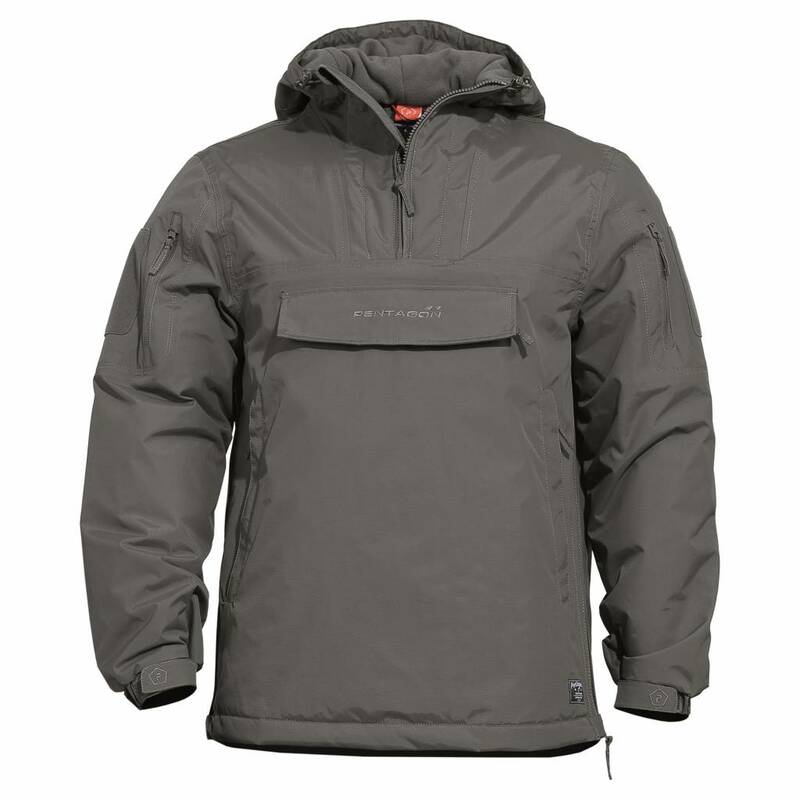 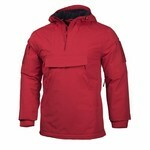 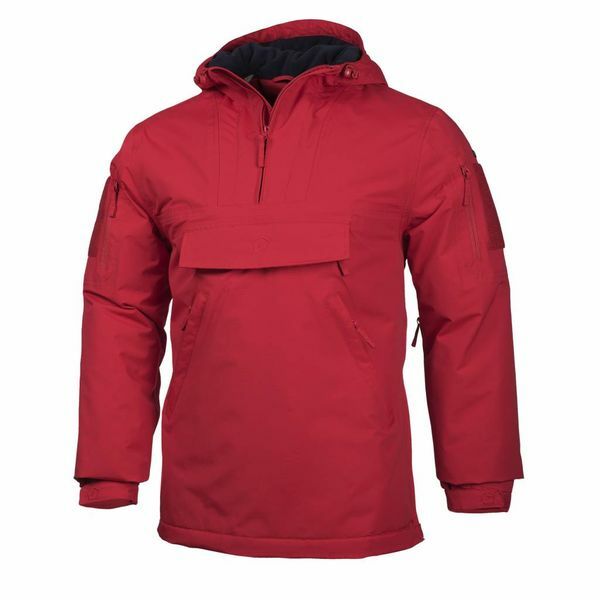 Back and Shoulders are inner lined with super fine Fleece and Anorak extra Padded for warmth. 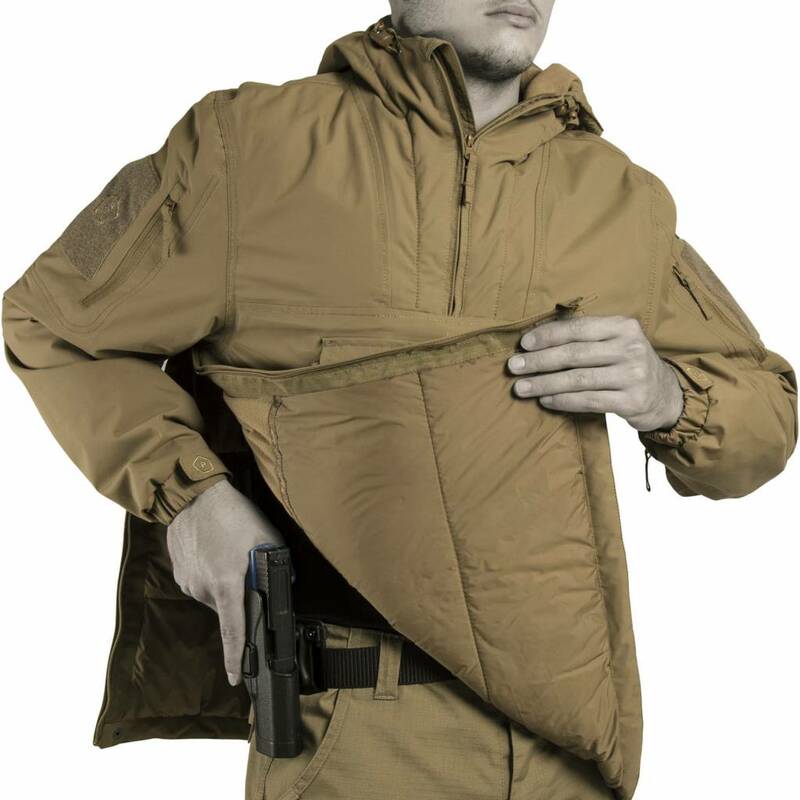 Prym­ Snap secures the side opening for quick & easy gun access.